Figure F3. 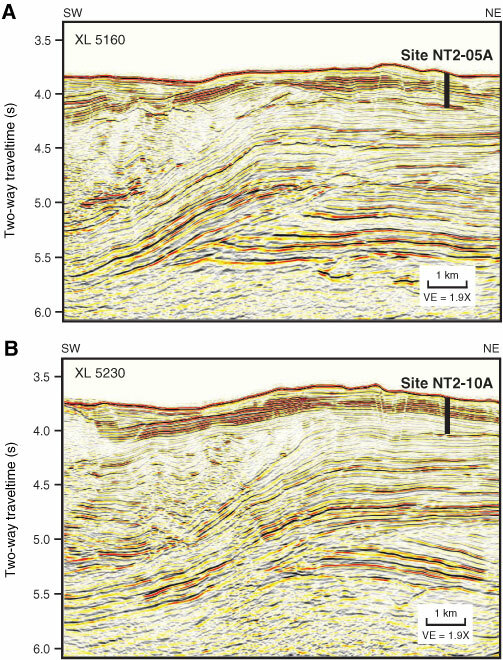 Seismic crosslines (trench parallel) showing the seismic structure, borehole location, and depth for proposed contingency Sites (A) NT2-05A and (B) NT2-10A. VE = vertical exaggeration.